There’s no drifting away in new TV drama series Love And Marriage. The six part serial follows three generations of the Paradise family and has every chance of becoming another drama hit for ITV. 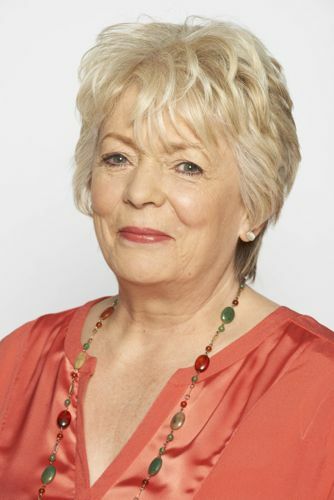 Written by Stewart Harcourt and directed by Debbie Isitt and Roger Goldby, it begins with Pauline Paradise (Alison Steadman) retiring from her job as a school lollipop lady. 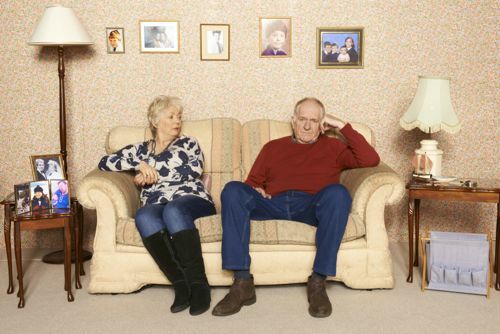 She’s married to ‘Silent Ken’ (Duncan Preston) – a man of few words and, it appears, even fewer to say to his wife after 41 years of marriage. Both Ken and their grown up children take her for granted. Until Pauline – having reached her 60th birthday – takes stock and decides it’s time for her to stop being a wife, mother, grandmother and all round family personal assistant. And the moment for her to take charge and simply live her own life. 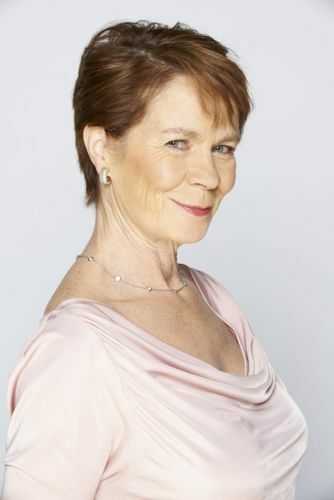 The drama also features Celia Imrie as Pauline’s three-times married sister Rowan and Larry Lamb as her lover Tommy, who happens to be married to, and live with, someone else. 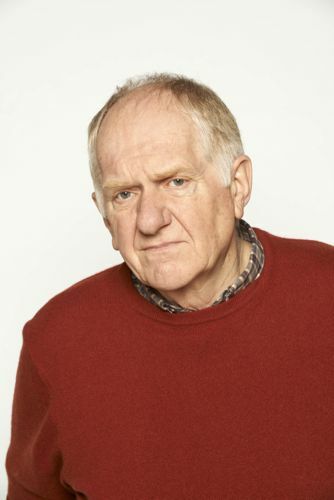 Stewart Wright and Ashley Jensen co-star as Kevin and Sarah Paradise. Niky Wardley and James McArdle are Heather and Charlie. With former Coronation Street star Graeme Hawley and Zoe Telford as Martin and Michelle. These sort of drama series are really difficult to get right. But not least thanks to a superb script and sparkling cast, Love And Marriage feels totally believable…with just the right mix of drama and comedy. Last week ITV screened the opening episode for the media, followed by two Q&A sessions and then other interviews. My transcript of the first Q&A is below, edited to remove any major spoilers. Including some articulate thoughts about life, love, marriage, acting and…Coventry. I’ll post my transcript of the second Q&A closer to the first episode TX. 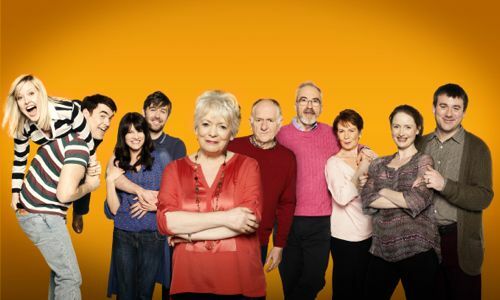 Love And Marriage begins on ITV at 9pm on Wednesday June 5. 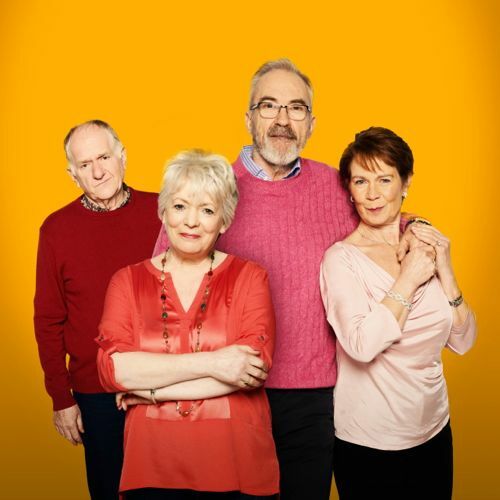 Q: (From me, as it happens) Obviously this is a drama that cuts across all the generations but, of course, it tells a story – as Anne Reid said at the BAFTAs – about people over 35 as well. Why do you think that is important and are you encouraged by this kind of script writing? Q: This is the first time you’ve seen this episode. I just wondered what your reactions were to it? Q: Obviously you’ve worked together before but we’re used to seeing you in the opposite partnerships. Did it feel like wife-swapping at any point? Did you get confused? Q: I was just wondering what your signs of a good marriage are? Q: Do you think people today give up on marriage too easily? Q: Why is it set in Coventry and what was the policy towards having accents in this? Q: (Me again) Alison described ‘Silent Ken’ very well earlier on. Can I ask Duncan for your take on the character and perhaps give us a glimpse of how he reacts in future episodes to his situation? Q: (Me yet again – sorry) Did I read somewhere that there’s a scene later in the series on a trampoline? Q: Alison – it’s a tough call at 60 to suddenly walk out on your home and family. Could you do it? Is it something that women at that age can find that strength of character to do it? Q: Do you think there will be women out there, then, that watch this and think, ‘Actually, I could do this and I’m going to do this? 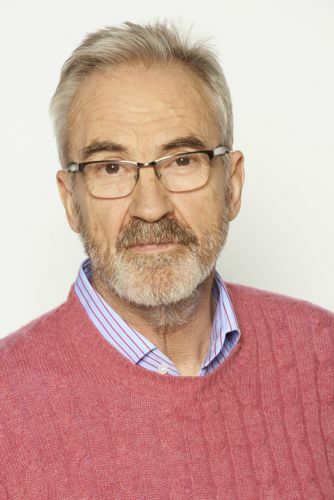 Posted in News and tagged Alison Steadman, Ashley Jensen, Ceia Imrie, Coventry, Debbie Isitt, Duncan Preston, Graeme Hawley, ITV Drama, James McArdle, Larry Lamb, Love And Marriage, Niky Wardley, Roger Goldby, Stewart Harcourt, Stewart Wright, Tiger Aspect, Zoe Telford. Bookmark the permalink.